Two Melbourne homes, two EcoSmart fireboxes installed in their kitchen island benches. But according to architect Nicholas Murray, that’s where the design similarities end. One a makeover of an entire home for a modern man, the other a kitchen renovation of a family residence that speaks of old-school elegance – and the element of fire was used to complement the designs of each house in a unique way. In the home of Guy Grossi, a well-known Australian chef and media personality, the EcoSmart Fire installation is used as a divider between old and new. 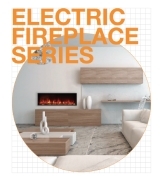 To create the fire, Corian in a near-white was chosen for its easy moulding, which helped increase design possibilities when installing the EcoSmart firebox into the island bench. Modern to a tee, the kitchen is filled with stainless steel elements including kickboards and bench tops, which complement the EcoSmart firebox, also made from this industrial-style metal. 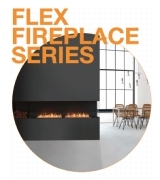 The element of fire amplifies this industrial look; fire being a traditional cooking method. The EcoSmart installation in the Montague St, Albert Park home also opens up into a different area of the home; on this occasion however, it’s the contemporary living space. To increase the area the fire could be seen from, a set of small steps lead up the kitchen from the living space, which places it at an elevated level. The brightness can be seen from the outdoor areas as well as from the lounge area, working to open up the originally small space. The result is a stylish yet simple home with modern furnishings complemented by natural wood and stone textures. 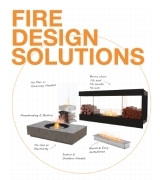 This was only the second time Nicholas had used an EcoSmart fire in one of his projects; he is now installing an outdoor model on an inner city roof deck. However, Nicholas is by no means a stranger to using fire in home design. 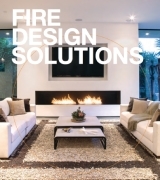 “We use lots of fires in our projects because we mainly work on high-end projects where the client expects luxury additions such as a fireplace,” he explains.